With just a couple of weeks to go before Christmas, the work Christmas party season is upon us. Whilst these events offer an opportunity for frivolity, fun and a morale boost, the recent Court of Appeal case of Bellman v Northampton Recruitment Ltd provides a sobering reminder that when work Christmas parties go wrong, they can go very wrong. Employers should remember that in certain circumstances they could be held liable for the actions of their employees, even if those actions are unauthorised and take place outside of the party. Mr Major was the Managing Director of Northampton Recruitment Ltd, a recruitment consultancy agency. As Managing Director, he oversaw the day-to-day running of the company which consisted of 11 employees. In December 2011, Mr Major organised the annual Christmas party; from the venue, food and drink to overnight hotel stays for some of the guests. It was all payable at the expense of the company. The party was attended by nearly all of the employees and their partners. As the party drew to a close, the idea of an impromptu after-party seemed to take hold. Mr Major ordered taxis for some attendees to take them to the nearby hotel where several people were staying. At the hotel, the participants continued drinking and chatting late into the night. Conversation turned to work-related matters including the appointment of a new employee and the terms on which he had been appointed. The conversation seemingly became quite strained as some employees had an issue with the terms of this new employee’s appointment (in particular his salary and place of work). Mr Major had been responsible for the recruitment and agreeing the terms. Annoyed by the conversation, Mr Major summoned the remaining employees and began lecturing them on his authority and discretion as Managing Director. During this alcohol-fuelled speech, he was challenged (in an non-aggressive way) by Mr Bellman about his recruitment decisions. Mr Major lost his temper and punched Mr Bellman. The bleeding Mr Bellman (and others) tried to reason with Mr Major but it appears that by this stage Mr Major had lost control of himself and he struck Mr Bellman again. This second punch caused Mr Bellman to fall to the ground and hit his head. As a result, he sustained a traumatic brain injury resulting in him suffering speech and language impairments and losing the capacity to manage his own affairs. The case first came before the High Court in 2016 which held that Northampton Recruitment Ltd was not vicariously liable for the actions of Mr Major. An appeal was then made to the Court of Appeal and judgment was issued in October 2018. Question 1: What were the “field of activities” entrusted to Mr Major (or, in other words, what was the nature of Mr Major’s role)? The Court of Appeal held that Mr Major had a very wide role as Managing Director. He was effectively “the mind and will” of the company. He had overall charge of all aspects of the company’s business, he had no set hours (and given the company was a round the clock operation, he was effectively nearly always available on call) and he controlled his own methods of work. The Court of Appeal found that Mr Major regarded maintaining his managerial authority as an important part of his work. Question 2: Was there sufficient connection between Mr Major’s role and his conduct to make it right for Northampton Recruitment Ltd (the employer) to be held vicariously liable for Mr Major’s actions? The discussion had returned to work-related matters for a significant period of time. The Court of Appeal therefore concluded that when Mr Major summoned his subordinates to lecture them on his authority as Managing Director, had in fact donned his “metaphorical Managing Director’s cap”. Part of Mr Major’s role was to maintain discipline and to issue instructions to employees and therefore when Mr Major’s authority had been challenged, he did just that (albeit in a violent manner which clearly he should not have done). As such, the Court of Appeal concluded that Mr Major had been acting within his field of activities as Managing Director (despite misusing his position) and therefore Northampton Recruitment Ltd was vicariously liable for Mr Major’s actions. Before employers start panicking, there is no need to overreact and cancel the Christmas party! Mr Major’s role was unusual in that the remit of his authority was extremely wide. Consequently, it is unlikely there will be very many direct parallels with this case given its particular facts. That said, the case does demonstrate that when considering an employee’s field of activities, these will be construed very widely and do not merely consist of what an employee is authorised to do. The context and circumstances surrounding an incident will also be particularly important. 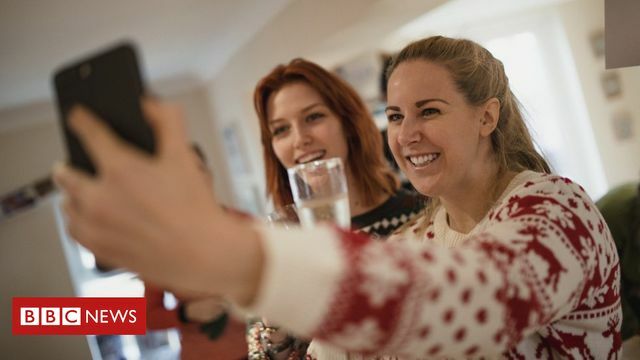 In light of this case, sensible employers will want to remind their employees (particular the senior ones) that Christmas parties should be seen as an extension of the work environment and that their behaviour should reflect that. Managers and Human Resources might also want to keep a sober watchful eye as the party progress to ensure that any potential incidents are diffused before they escalate into a situation that the employer might have liability for. For many, Christmas may be the most wonderful time of the year, but it doesn't come without hard work - and often a fair amount of stress. ... In the run-up to the big day, it can feel like you're burning the candle at both ends. There'll be awkward office parties as well as Christmas meet-ups with friends.